San Francisco International Airport is a major international airport located south of downtown San Francisco , California , United States, adjacent to the cities of Millbrae and San Bruno in unincorporated San Mateo County . It is often referred to as SFO. The airport has flights to destinations throughout North America and is a major gateway to Europe, Asia, and Australasia. San Francisco International Airport is the largest airport in the San Francisco Bay Area , and is the second busiest airport in the state of California after Los Angeles International Airport . As of 2008, San Francisco International Airport is the tenth largest in the United States and the twenty-first largest airport in the world, in terms of passengers. It is a major hub of United Airlines and is Virgin America's principal base of operations. It is the sole maintenance hub of United Airlines. SFO is also a focus city for Alaska Airlines. The airport was first opened on May 7, 1927 on 150 acres (607,000 m²) of cow pasture. The land was leased from prominent local landowner Ogden L. Mills, (who in turn had leased it from his grandfather Darius O. Mills) and was named Mills Field Municipal Airport. It remained Mills Field until 1931, when it was renamed San Francisco Municipal Airport. 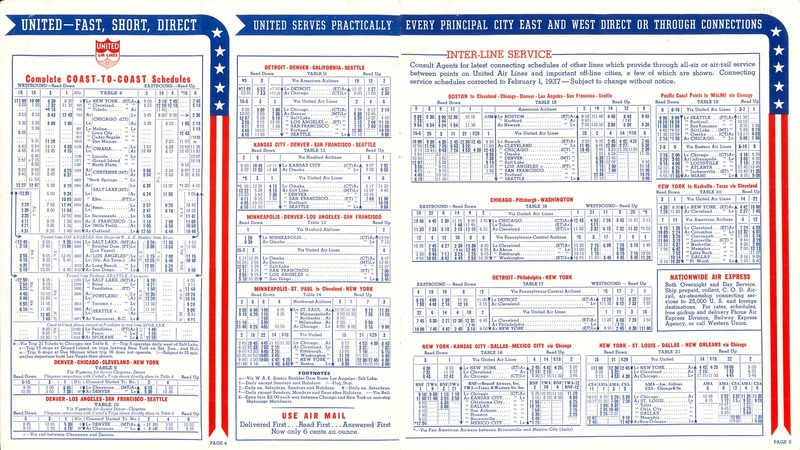 "Municipal" was replaced by "International" in 1955. The U.S. Weather Bureau began keeping weather observations at Mills Field in May 1927. The weather records have continued under the National Weather Service, which maintained the Bay Area forecast office in the airport's control tower building until forecasting was moved to Redwood City . Although not the official weather observation site for San Francisco (with the official site existing in Duboce Park ), data from SFO's automated weather station often appears as belonging to "San Francisco" in media sources outside of the Bay Area. United Airlines used the Mills Field airport as well as the Oakland Municipal Airport for its services throughout the 1930s. Starting in 1935, Pan American World Airways used the facility as the terminal for its "China Clipper" flying boat service across the Pacific Ocean. Domestic flights did not begin en masse, however, until World War II, when Oakland International Airport was taken over by the military and its passenger flights were shifted to San Francisco. After the war, United Airlines used the Pan Am terminal for its flights to Hawaii . It has grown to become one of five United Airlines hubs and SFO is home of United's largest maintenance facility. In 1954, the airport's Central Passenger Terminal opened for passenger service. Jet service to SFO began in the late 1950s: United built a large maintenance facility at San Francisco for its new Douglas DC-8s. In July 1959 the first jetway bridge was installed in the United States. In 1989, an airport master plan and associated Environmental Impact Report was prepared to guide expansion and development over the next two decades.During the economic boom of the 1990s and the dot-com boom, SFO became the sixth busiest international airport in the world. However, since 2001, when the dot-com boom ended, SFO has fallen back out of the top twenty. SFO has expanded continuously through the decades. Most recently, a new $1 billion international terminal opened in December 2000, replacing Terminal 2 as the international terminal. This new terminal contains a world-class aviation library and museum. SFO’s long-running program of cultural exhibits, now called the San Francisco Airport Museums, won unprecedented accreditation by the American Association of Museums in 1999. A long-planned extension of the Bay Area Rapid Transit system to the airport opened on June 22, 2003, allowing passengers to board trains directly at the airport's international terminal bound for San Francisco or points in the East Bay. In 2003, the AirTrain shuttle system opened, conveying passengers between terminals, parking lots, the SFO BART station, and the rental car center on small automatic trains. It is not uncommon for SFO to experience significant delays in adverse weather, when only one of the airport's four runways can be used at a time, due to a lateral separation of only 750 feet between runways. Airport planners have floated proposals to extend the airport's runways further into San Francisco Bay in order to accommodate during low-visibility conditions the large number of arrivals and departures. In order to expand further into the bay, the airport would be required by law to restore bay land elsewhere in the Bay Area to offset the fill. Such proposals have nevertheless met resistance with environmental groups, fearing damage to the habitat of animals living near the airport and bay water quality. As such, SFO suffers from loss of service as many airlines, especially low-cost carriers, increasingly shift service to the other two major Bay Area airports at Oakland and San Jose , which continue to expand for the time being. However, SFO has more land connections compared to Oakland and San Jose, being directly connected to U.S. Route 101, Interstate 380, and the BART system. Recently, recovery at SFO has been evident. Spirit Airlines and Qantas began service to SFO in 2006. United Airlines changed service to Seoul from seasonal to year-round and reinstated non-stop service to Taipei on June 7, 2007. Nonstop service to Taipei was later discontinued in 2008 and is now flown via Narita International Airport near Tokyo . In addition, SFO has become the base of operations for start-up airline Virgin America. In March 2007, Air China increased the frequency of the Beijing-San Francisco service from 5 times weekly to daily, with plans to increase to two daily. In 2007, JetBlue Airways and Irish airline Aer Lingus began service, while Southwest Airlines returned after pulling out in May 2001 citing high costs and delays. Aer Lingus ended its service to San Francisco from Dublin on 24 October 2009, due to Aer Lingus financial problems. In May 2008, Jet Airways began service from San Francisco to Mumbai International Airport with a stop at Shanghai Pudong International Airport , but it was later discontinued in January 2009, citing poor load factors. A global warming study unveiled in February 2007 revealed that much of SFO would be under water with only a one-meter rise in sea levels. SFO was one of several US airports which operated the Registered Traveler program from April 2007 until funding ended in June 2009, which allowed travelers to quickly pass through security checkpoints. Baggage and passenger screening is operated by Covenant Aviation Security, a TSA contractor, nicknamed "Team SFO." SFO was the first airport in the United States to integrate in-line baggage screening into its baggage-handling system and has been a model for other airports in the post-9/11 era. On October 4, 2007, an Airbus A380 jumbo jet made its first visit and test flight to the airport. About 15 months later, on January 14, 2009, an A380, operated by Qantas, made its first regularly scheduled flight to SFO. On July 14, 2008 SFO was voted Best International Airport in North America for 2008 in the World Airports Survey by Skytrax. The following year on June 9, Skytrax announced SFO as the second Best International Airport in North America in the 2009 World Airports Survey, losing to Dallas/Fort Worth International Airport . The climax of the Steve McQueen movie Bullitt was filmed at the airport. SFO was one of the first airports to implement a Fly Quiet Program which grades individual air carriers on their performance on noise abatement procedures while flying in and out of SFO. The Jon C. Long Fly Quiet Program is an initiative implemented by the Aircraft Noise Abatement Office to encourage individual airlines to operate as quietly as possible at SFO. The program promotes a participatory approach in complying with the noise abatement procedures. SFO was also one of the first U.S. airports to conduct a residential sound abatement retrofitting program. Established by the FAA in the early 1980s, this program evaluated the cost effectiveness of reducing interior sound levels for homes in the vicinity of the airport, or more particularly homes within the 65 CNEL noise contour surface. The program made use of a noise computer model to predict improvement in specific residential interiors for a variety of different noise control strategies. This pilot program was conducted for a neighborhood in the city of South San Francisco , and success was achieved in all of the homes analyzed. The construction costs turned out to be modest, and the post-construction interior sound level tests confirmed the model predictions for noise abatement. To date over $153 million has been spent to insulate in excess of 15,000 homes throughout the neighboring cities of Daly City , Pacifica , San Bruno , and South San Francisco. airport is composed of four terminals (1, 2, 3, and International) and seven concourses (A through G) arranged in a ring. Terminal 1 (Boarding Areas B and C) and Terminal 3 (Boarding Areas E and F) handle domestic flights. The International Terminal (Boarding Areas A and G) handle international flights and some domestic flights. Terminal 2 (Boarding Area D) is undergoing renovations, which will be completed in 2010. Note: Flights to and from Canada depart from and arrive in the domestic terminals, because they clear U.S. Customs at their Canadian originating airports through a border preclearance arrangement. JetBlue Airways and Virgin America depart from International Terminal Boarding Area A. Formerly known as the South Terminal, Terminal 1 consists of Boarding Area B and Boarding Area C. A third boarding area, Rotunda A, was demolished in 2007. Terminal 2, formerly known as the Central Terminal, was the main terminal of San Francisco Airport for decades. It consists of Boarding Area D. It replaced Rotunda A as the international terminal in 1983, and, when the current international terminal opened in 2000, Terminal 2 was closed for indefinite renovation and currently serves as a walkway between Terminal 1 and Terminal 3. The control tower and most operations offices are located on the upper levels. On May 12, 2008, a US$383 million renovation project was announced that includes a new control tower, the use of green materials, and a seismic retrofit. When completed, Virgin America will be the primary tenant and Boarding Area D will have 14 gates. JetBlue and Southwest Airlines are possible tenants. Formerly known as the North Terminal, Terminal 3 is made up of Boarding Area E and Boarding Area F. This terminal is utilized by Air Canada, American Airlines, and United Airlines, with the final two accounting for 10.2% and 48.9% of SFO's passenger traffic, respectively. Boarding Area F has 25 gates: 68-72, 73-73A, 74-75, 76A-76B, 77A-77B, 78A-78B, 79-86, 87-87A, 88-90. SFO's international terminal, designed by Craig W. Hartman and opened in December 2000 to replace International Departures from Terminal 2, is the largest international terminal in North America, and is the largest building in the world built on base isolators to protect against earthquakes. Following the theme in other SFO terminals, food service focuses on quick service versions of leading Bay Area restaurants. SFO planners attempted to make the airport a destination in and of itself, not just for travelers that are passing through. The international terminal is a common use facility, with all gates and all ticketing areas shared among the international airlines. All international arrivals and departures are handled here (except flights from cities with customs preclearance). The airport BART station is also located in this terminal, at the garage leading to Boarding Area G.
All the gates in this terminal have two jetway bridges with the exception of gate A2, which only has one jetway; gates A1, A3, and A11 are capable of accommodating two aircraft. Six gates are specifically designed for the Airbus A380, making SFO one of the first airports in the world with such gates when it was constructed in 2000. For lack of space, the terminal was constructed on top of the airport's main access road at enormous expense, completing the continuous "ring" of terminals. As a consequence, the terminal required its own elaborate set of ramps to connect it with Highway 101. The design and construction of the international terminal is owed to Skidmore, Owings & Merrill, Del Campo & Maru Architects, Michael Willis Associates (main terminal building), Hellmuth, Obata and Kassabaum (Boarding Area G) & Gerson/Overstreet Architects (Boarding Area A). The contracts were awarded after an architectural design competition. If all gates in an airlines' designated international boarding area are full, passengers will board or deplane from the opposite international boarding area. Despite the terminal's name, JetBlue Airways and Virgin America serve domestic destinations using this terminal from Boarding Area A. Passengers arriving on domestic and pre-cleared Canadian flights into the International Terminal claim their baggage in a separate area outside of customs and immigrations. AirTrain is the airport's people-mover system. Fully automated and free of charge, it connects all four terminals, the two international terminal garages, the BART station, and the airport's Rental Car Center. The San Francisco International Airport BART station , located in Parking Garage G of the International Terminal, is the only direct rail link between the airport, the city of San Francisco, and the general Bay Area. As of January 1, 2008, the SFO station is served by the Pittsburg/Bay Point – SFO Line. BART is SFO's connection to Caltrain at the Millbrae Station , which requires a transfer at the San Bruno station during most of BART's operating day; only during the first & last hour of BART service does direct service between SFO and Millbrae take place each day. 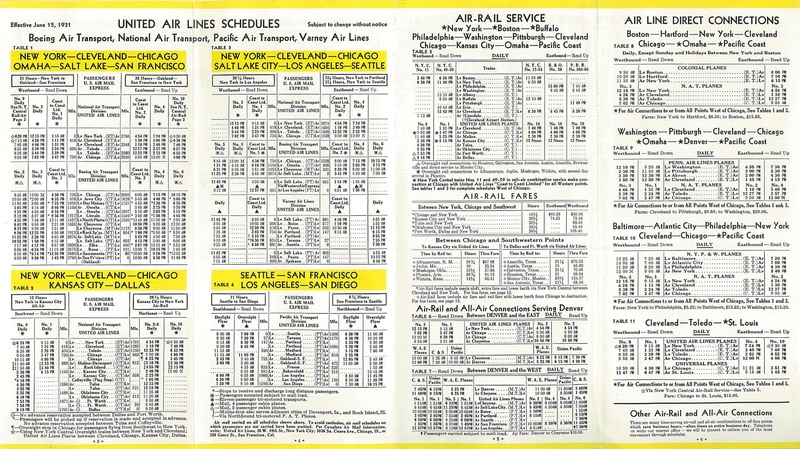 The San Francisco Municipal Railway, San Francisco's transit agency, does not provide service to the airport. However, SamTrans, San Mateo County's transit agency, does, with three lines connecting Terminal 2, Terminal 3, and the International Terminal to San Francisco and the Peninsula down to Palo Alto . Numerous door-to-door van, airporter, limousine, hotel courtesy, and charter operators service the airport. Taxi, along with the aforementioned services, stop at the center island transportation island on the arrivals/baggage claim level of the airport. The airport is located on U.S. Route 101, south of downtown San Francisco. It is near the US 101 interchange with Interstate 380, a short freeway that connects US 101 with Interstate 280. The airport provides both short-term and long-term parking facilities. Short term parking is located in the central terminal area and two international terminal garages. Long term parking is located on South Airport Blvd. and San Bruno Ave. and are served by shuttle buses. On October 16th, 1956, Pan Am Flight 6 A Boeing 377 Stratocruiser en route from Honolulu to San Francisco experienced engine failure. The crew ditched the plane (water landing) in the Pacific Ocean near a US Coast Guard ship midway between Hawaii and the California coast. The plane sank within 8 minutes, but all 38 people aboard (7 crew, 31 passengers) evacuated and were rescued. This was a precursor event to the safe water landing of US Airways Flight 1549 on the Hudson River in January of 2009. On December 24, 1964, Flying Tiger Line Flight 282 , a Lockheed Constellation cargo aircraft departing for New York City, crashed in the hills west of the airport, killing all three crewmembers onboard. On June 28, 1965, Pan Am Flight 843, a Boeing 707 had its engine turbine disintegrate, which took out the engine and one third of the wing was lost after taking off from San Francisco. It was able to stay in the air, and landed at Travis Air Force Base . On July 30, 1971, Pan Am Flight 845, a Boeing 747 (registration: N747PA, name: Clipper America), struck navigational aids at the end of runway 1R on takeoff for Tokyo. The aircraft's landing gear and other systems were damaged. Two passengers were seriously injured by metal components of the runway approach light pier entering the cabin. The flight proceeded out over the Pacific Ocean to dump fuel in order to reduce weight for an emergency landing. Emergency services were deployed at the airport, and the plane returned and landed on runway 28R. During landing the aircraft veered off the runway. There was no fire. After coming to a stop, the aircraft slowly tilted aft, coming to rest on its tail in a nose-high attitude. The forward evacuation slides were therefore in a nearly vertical position. Evacuation using these slides caused all of the additional injuries, some severe. There were no fatalities among the 218 passengers and crew aboard. An investigation determined the cause of the accident to be erroneous information from the flight dispatcher to the crew regarding weight and runway length. On February 19, 1985, China Airlines Flight 006, en route from Taipei to Los Angeles, lost power over the Pacific in one of its four engines. The pilots of the Boeing 747SP aircraft failed to trim the plane to counteract the asymmetric thrust condition, despite having several minutes to do so. The aircraft eventually rolled over and dived a total of 30,000 feet before being brought under control and diverted to SFO. On June 28, 1998, United Airlines Flight 863, a Boeing 747-400, cleared nearby San Bruno Mountain by only 100 feet after a pilot erred in correcting for a failed engine during takeoff. The plane was en-route to Sydney , Australia. On January 31, 2000, Alaska Airlines Flight 261 lost control due to the underlubrication and subsequent failure of the horizontal stabilizer trim system jackscrew assembly's acme nut threads and crashed into the Pacific Ocean near Los Angeles, killing all 88 people on board while en route to SFO. On September 11, 2001, United Airlines Flight 93 was hijacked and crashed near Shanksville, Pennsylvania while en route to SFO. On May 26, 2007, a SkyWest Airlines EMB-120 regional turboprop almost crashed into a Republic Airlines E-170 on the runways at San Francisco airport, with the newly developed AMASS system helping avoid a runway collision for the first time since its inauguration in 2001. On January 13, 2008, an empty United Airlines Boeing 757 aircraft, being pushed back to the maintenance hangar, backed into a SkyWest Airlines regional jet pushing back for departure near Gates 79 and 80. No one was injured, but both planes sustained damage to their tails and engines. On June 28, 2008 an ABX Air Boeing 767 preparing to depart with cargo caught fire and was seriously damaged. The pilots escaped uninjured. The airline had received a threat the week before, but thus far investigations have revealed no evidence of any malicious device on board. 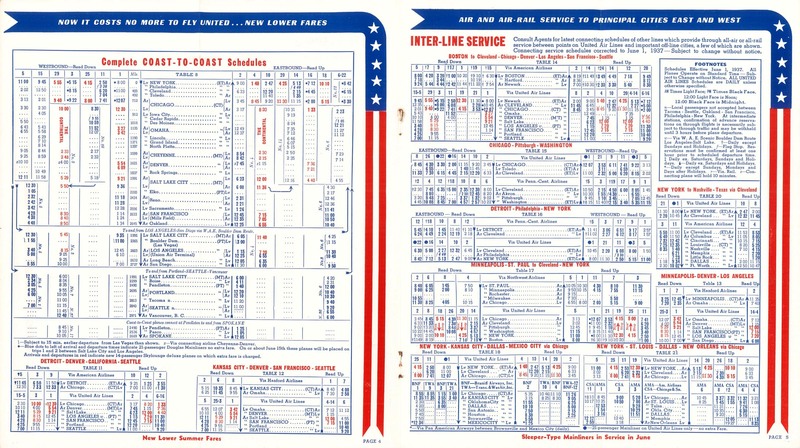 United Airlines timetables: June 15, 1931; June 20, 1933; June 1, 1935; February 1, 1937; June 1, 1937. 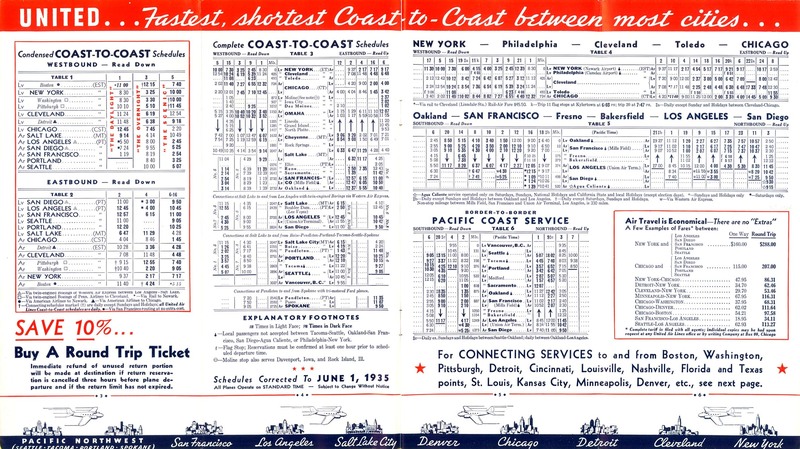 Airline Timetable Images. Retrieved 2009-09-12. "Adequacy of Trunkline Air Services to Medium-sized Intermediate Cities", Hearings, reports and prints of the Senate Committee on Commerce, U.S. Government Printing Office, 1965, p. 303.